Interested in color? Texture? How they play together? 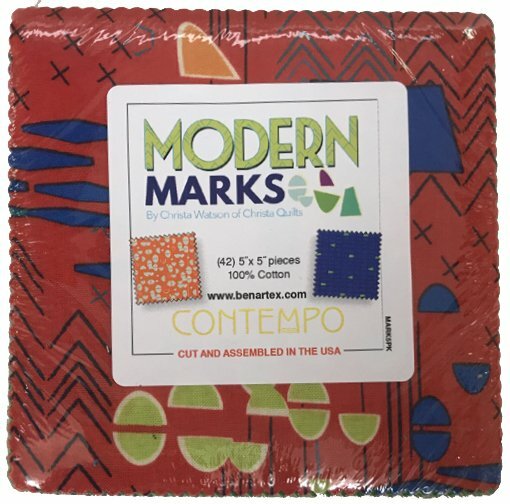 Christa’s Modern Marks collection is the perfect solution. These bold, bright prints will bring a cool modern touch to your shelves. Christa has included a great abstract focal print, and an entire collection of mini prints in colors that truly pop, like chartreuse, bright green, yellow and orange. The fun part? Putting them all together. We think you’ll agree, with this collection, anything goes, and what does that mean? Unlimited design possibilities and adventures. Visit christaquilts.com for more projects and patterns.